Yesterday proved to be a pivotal moment in my presidential year. 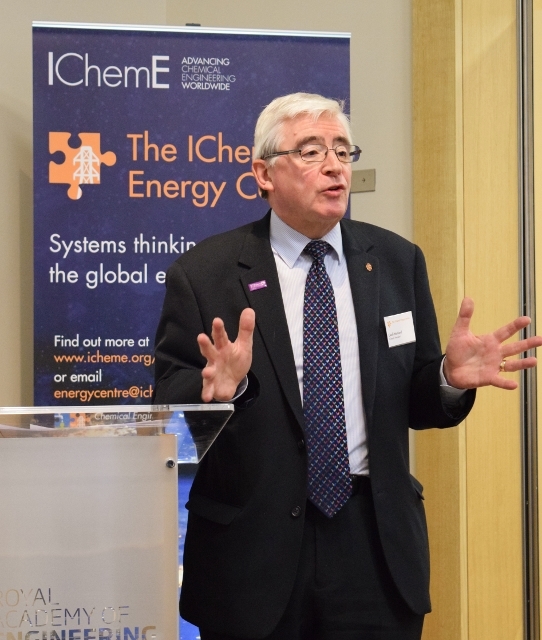 We successfully launched the Energy Centre and outlined our plans for this new and exciting initiative – inspired by Chemical Engineering Matters, IChemE’s technical strategy. 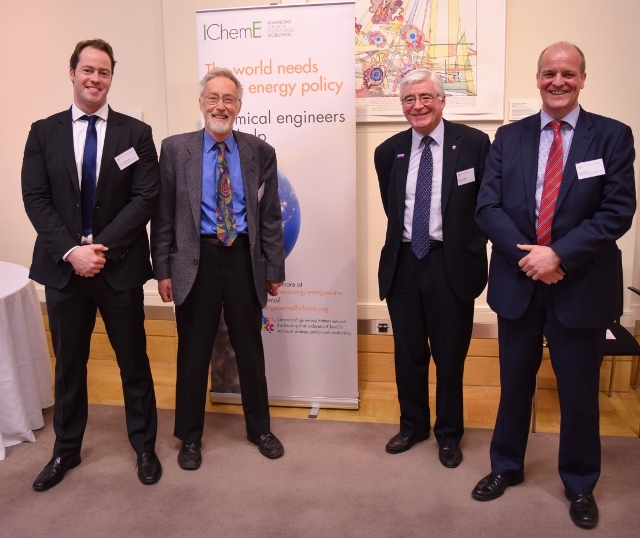 I’m going to use today’s blog to explain what the Energy Centre is, what it will do and why it matters to chemical engineers, opinion formers and policy makers around the world. IChemE is a global organisation, with over 42,000 members in 120 countries. The international launch of our Energy Centre reflected this. We held three simultaneous, video-linked events, with over 60 experts and opinion formers from industry, academia and government, in Brisbane, Kuala Lumpur and London. When I took on the President’s role, I set myself the goal of ‘shining a light on chemical engineering’ and nowhere has the light shone brighter than in the energy sector. Chemical engineers are working across the energy space in: nuclear; biofuels; energy efficiency; smart grids; energy storage; fossil fuels and carbon capture and storage. Renewables will also play a part in our future energy mix. But intermittency poses a problem as the BBC’s coverage of today’s solar eclipse in Northern Europe reveals. Effective energy storage is the solution, and chemical engineers can help, see my blog ‘Zeolite makes for a better battery life‘. Solving the energy challenge calls for a systems thinking approach – an expertise at the heart of the chemical engineering skill set. This is where the Energy Centre will help. It will provide opinion formers and decision makers with expert advice on energy issues, drawing on expertise from the Institutions’ global membership. It will also highlight areas where chemical engineers are developing new and innovative solutions across the energy space. 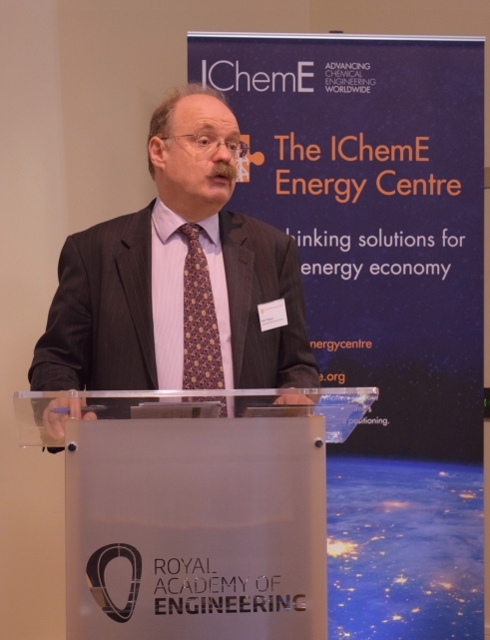 We were joined in London by Professor Sir Mark Walport, Chief Scientific Adviser to the UK Government. He welcomed the contribution of professional institutions such as ours on issues of critical importance to society and reiterated that “Distilling the wisdom of expertise through institutions is important”. Johan Samad, a former chair of IChemE’s Malaysia Board, offered his perspective via the live link from Kuala Lumpur: “At the root, this challenge poses the same question to all countries. How can we provide secure, affordable and low-carbon energy to our citizens? Professor Stef Simons, the newly appointed chair of the Energy Centre Board, set out the initial work programme live from Brisbane, Australia. Stef said he believed that the chemical engineering voice is currently absent from the energy conversation. He argued that chemical engineers could contribute a powerful systems thinking approach, which would set us apart from think tanks and other disciplines. He also announced plans for the Centre to launch its first report at the United Nations (UN) climate conference in Paris later this year. The report is likely to focus on process and energy efficiency. The work of the Energy Centre will be led by a board of 13 volunteers, drawn from the diversity of IChemE’s membership. This Board will be supported by a wider group of volunteer members on an Energy Centre Advisory Panel. Vice-chairs: Professor Richard Darton (Professor of Chemical Engineering, University of Oxford) and myself. Members: Allyson Black (Business Improvement Manager, Caltex Refineries); Antonio Della Pelle (Managing Director, Enerdata); Dr Gareth Forde (Principal Engineer, All Energy Pty & Associate Professor, Queensland University of Technology); Dr Rachael Hall (Alternative Energy Concepts Engineer, Alstom); Professor Sanette Marx (South Africa’s National Research Foundation Chair in Biofuels, North-West University); Ben Salisbury (Programme Manager, EDF Energy) and Paul Smith (Managing Director – Generation, SSE). The IChemE Energy Centre is now open for business. Its time to make a change, face up to the grand challenges and deliver a sustainable world for our grandchildren’s grandchildren. This is commendable. I do hope I will be able to participate and contribute to this cause of availing affordable, cleaner energy to the nations, as a chemical engineer. It is good to see this centre get off the ground. However the “management team” is dominated by academics and it would be good to see more practising engineers being involved. Not doubt these people are busy but a good balance would be of benefit to this centre.